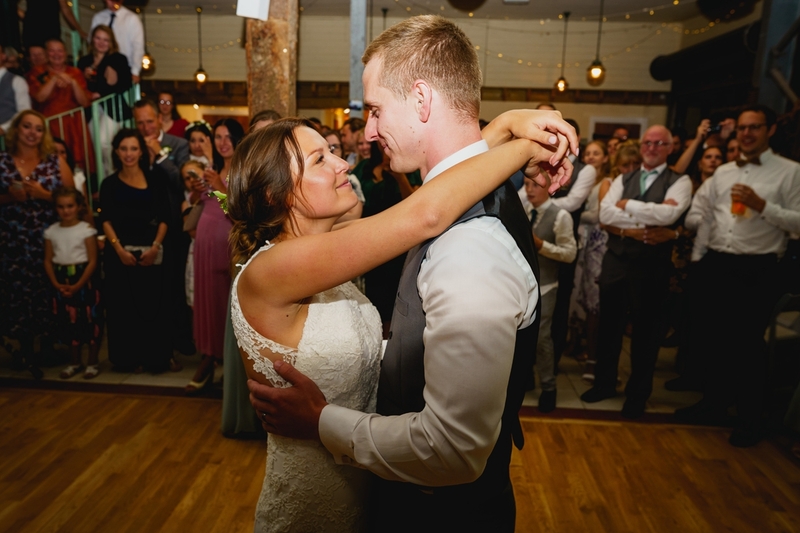 Primary school friends Laura and Toby didn’t become a romantic item until after they left school, and it was memories from during this time that inspired Toby’s original proposal plan. 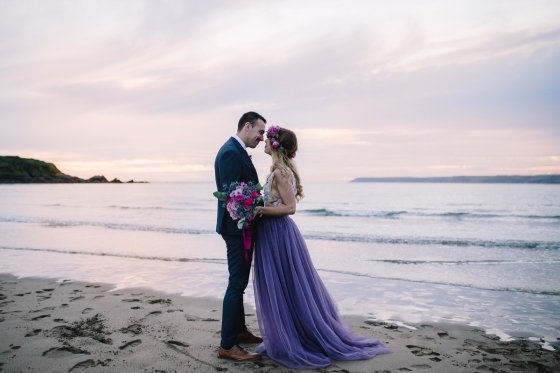 “He had planned to propose on the beach near where we grew up while walking our dog. 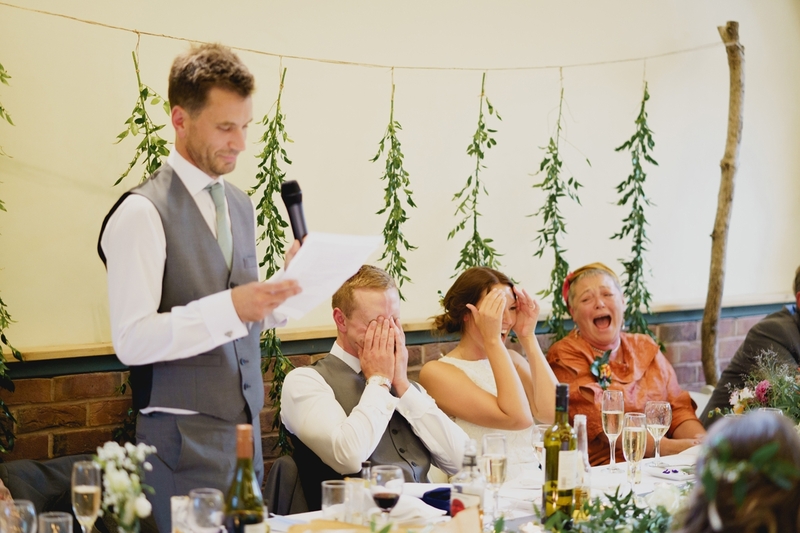 However, I managed to spoil that by being too unwell to go out so he proposed in my childhood bedroom at my parents’ house where we were staying for the weekend,” explains Laura. 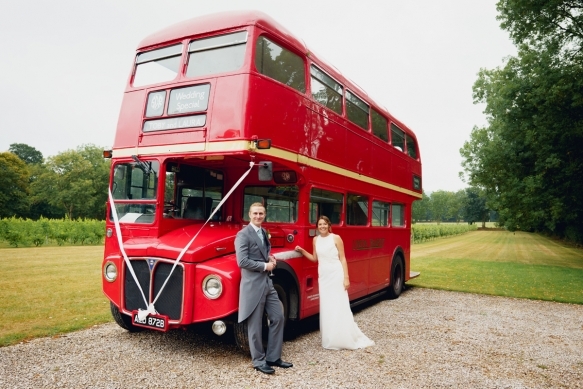 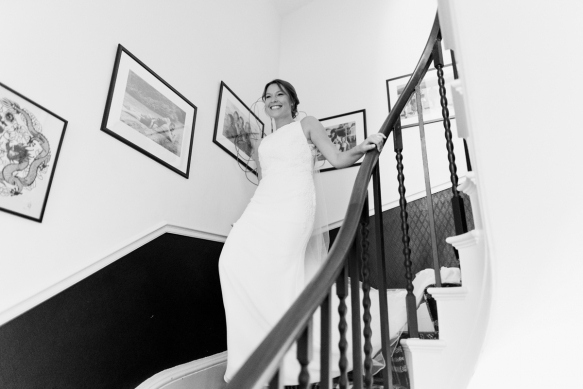 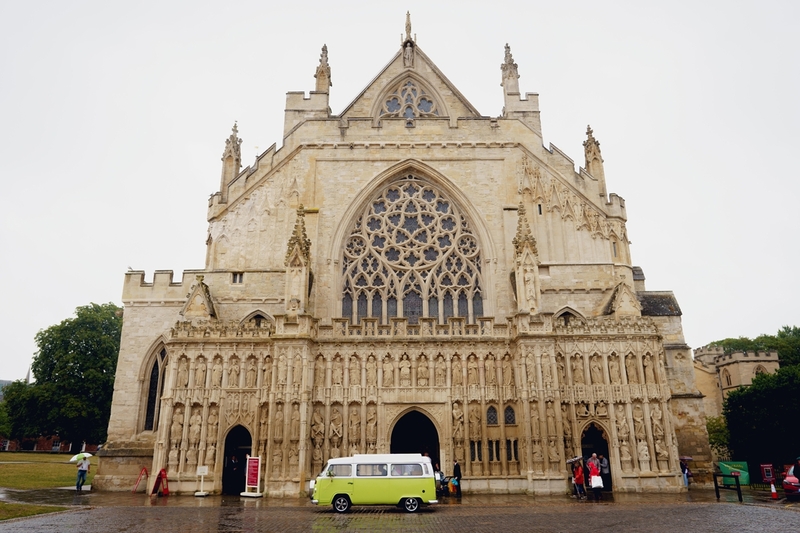 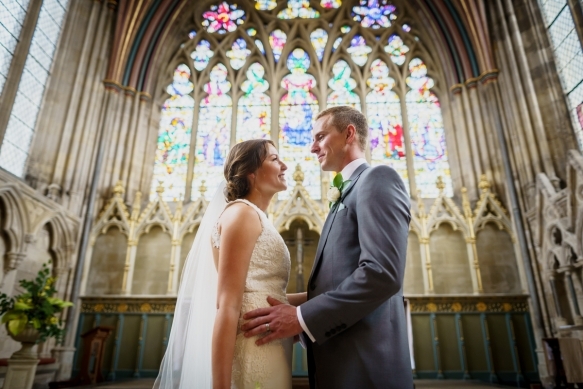 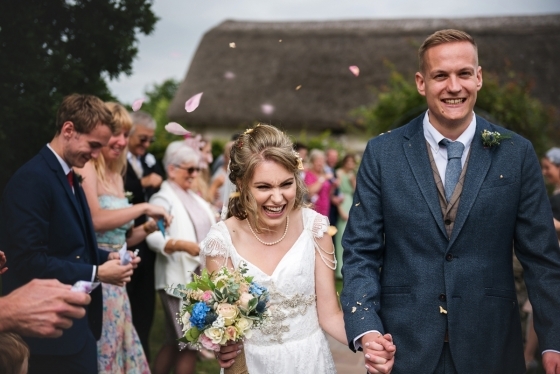 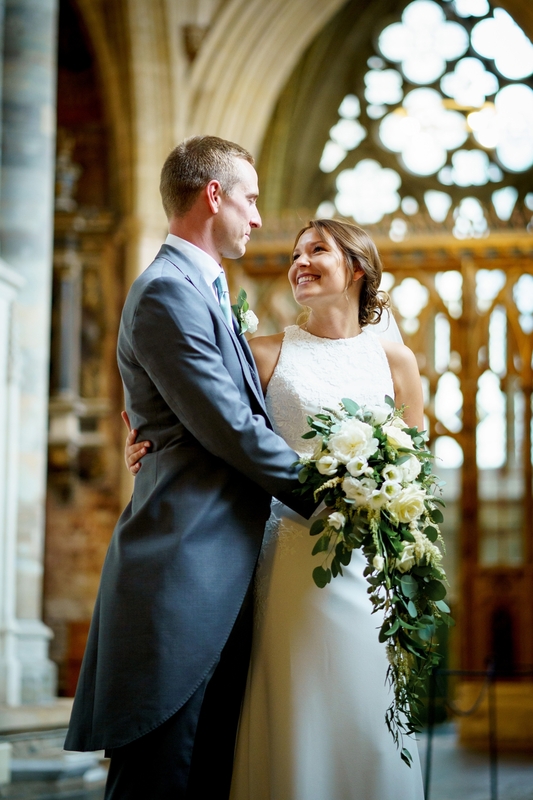 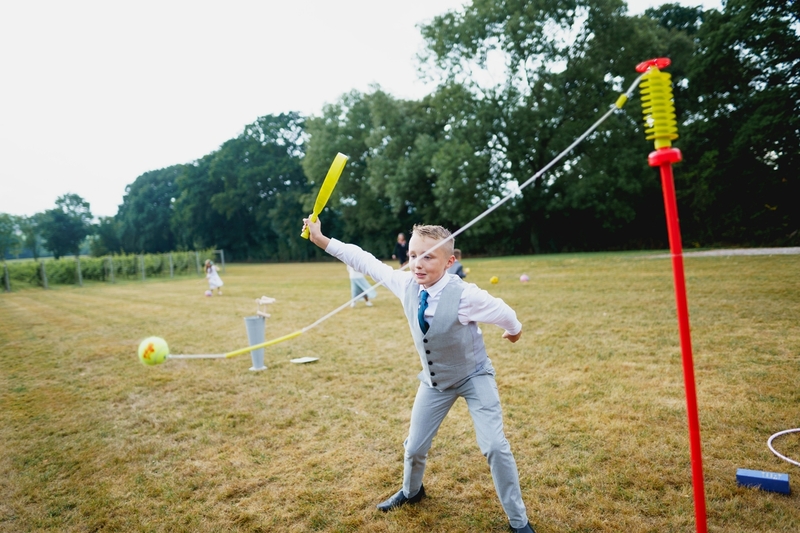 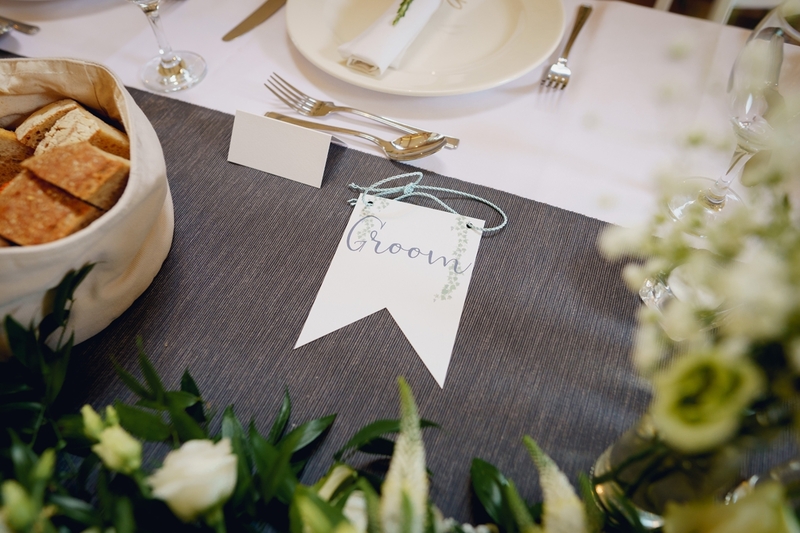 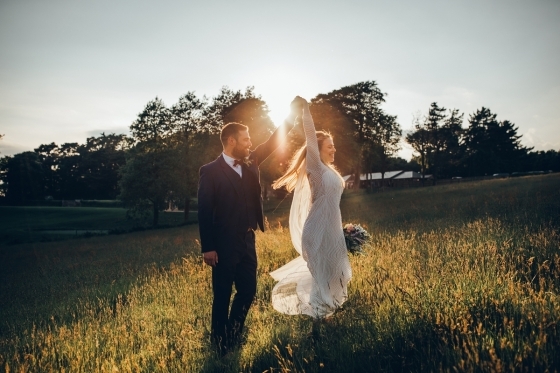 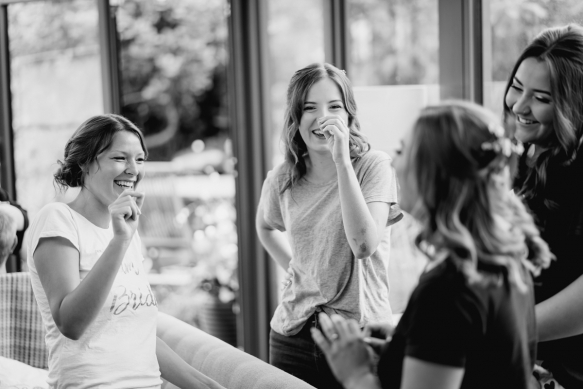 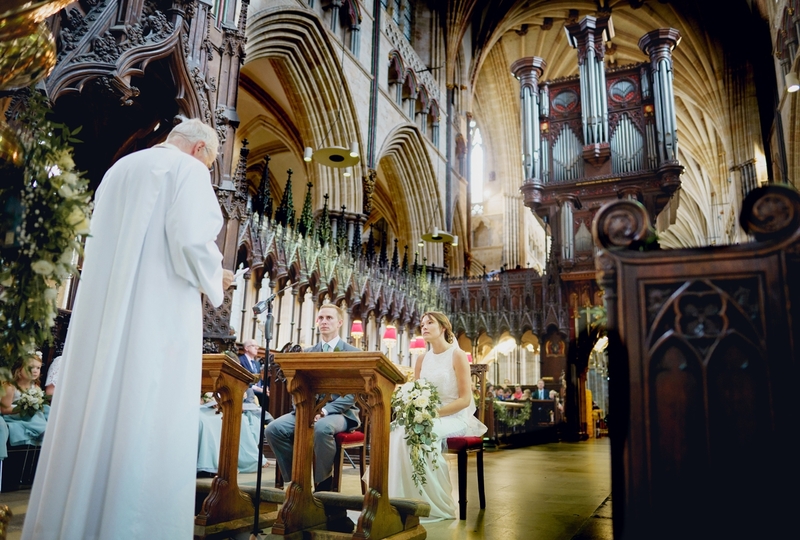 Having grown up going to church at Exeter Cathedral, it was a long-held dream of Laura’s to get married there, which was made even more moving by her grandfather – a retired priest – personally conducting the service for them. 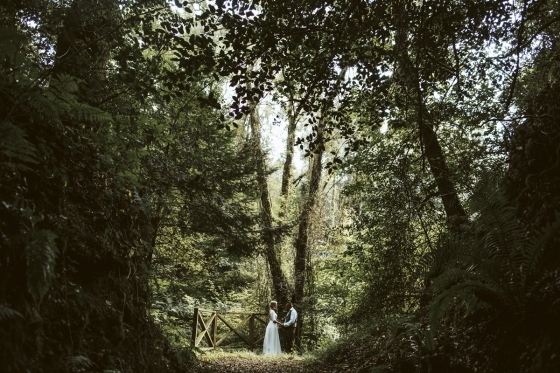 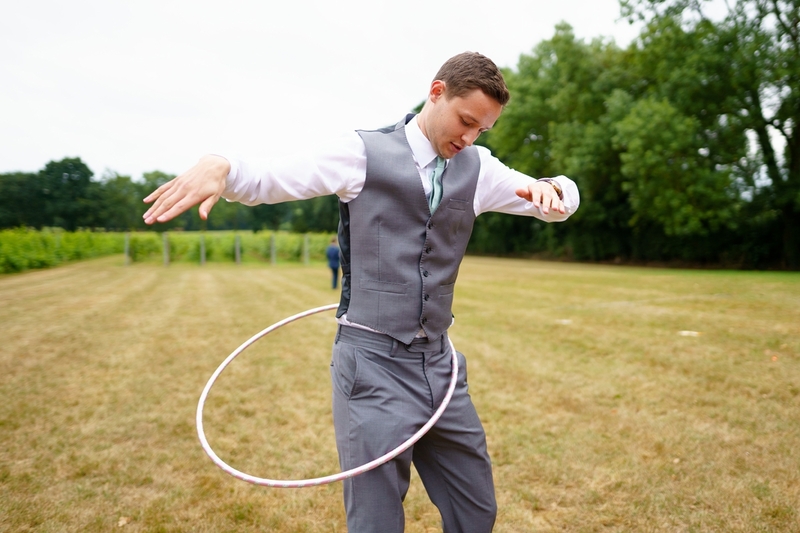 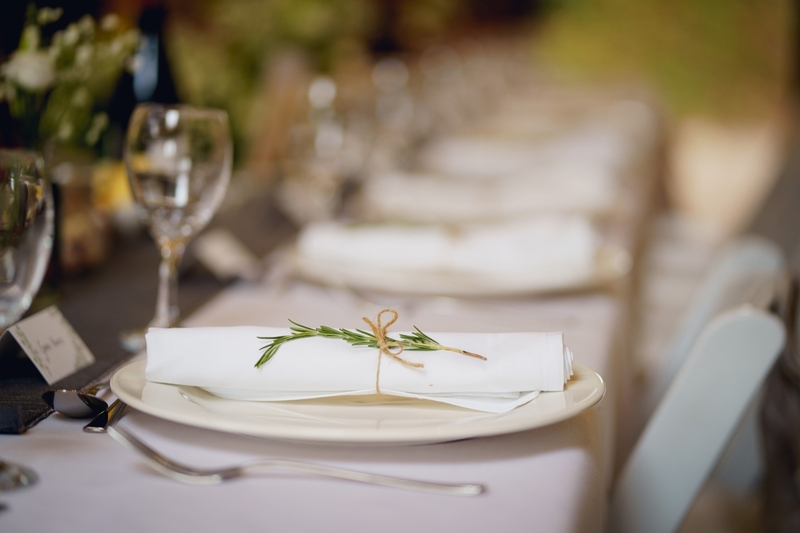 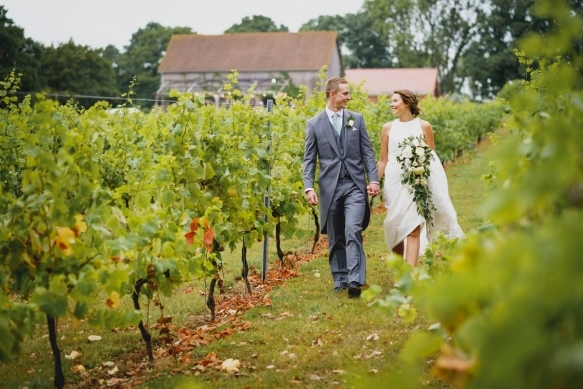 Selecting Froginwell Vineyard as their reception venue allowed a “less formal” vibe. 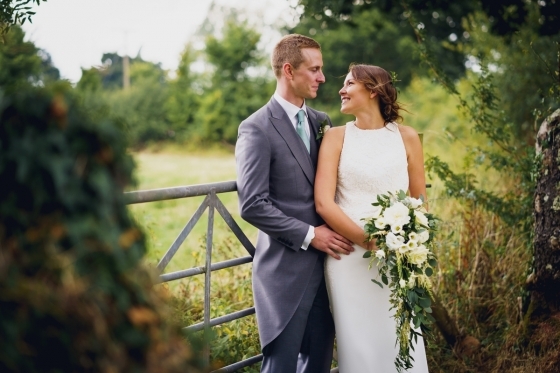 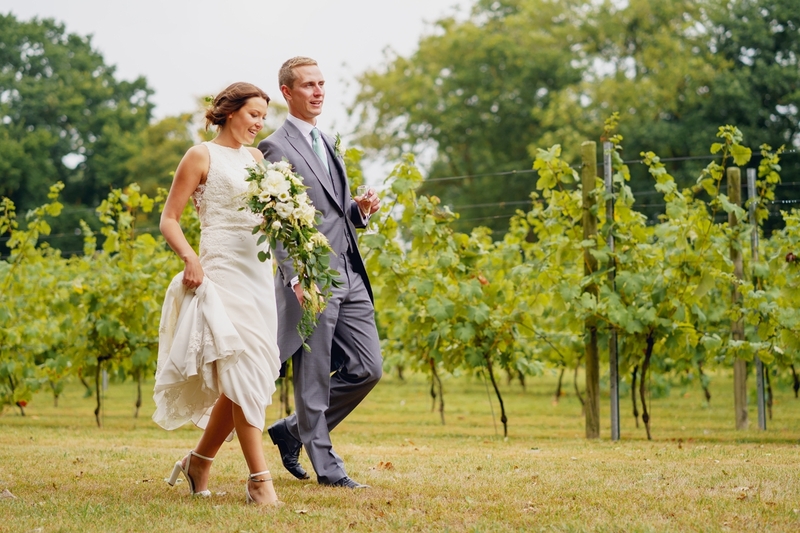 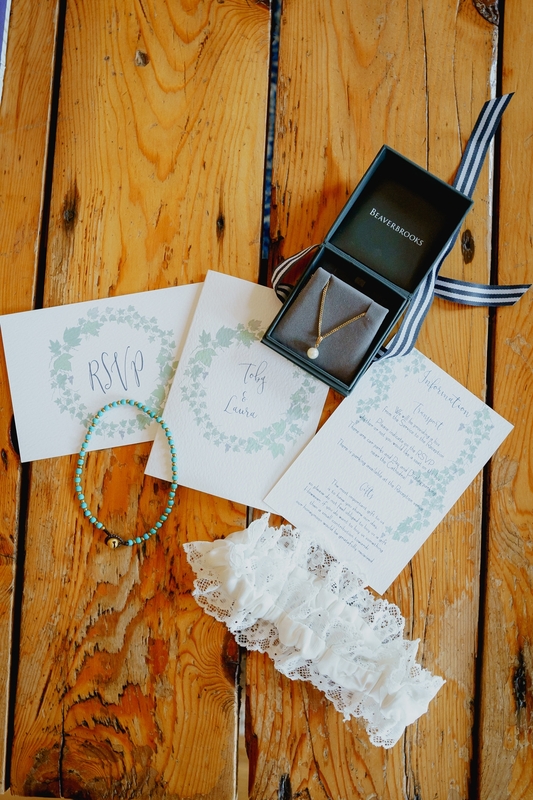 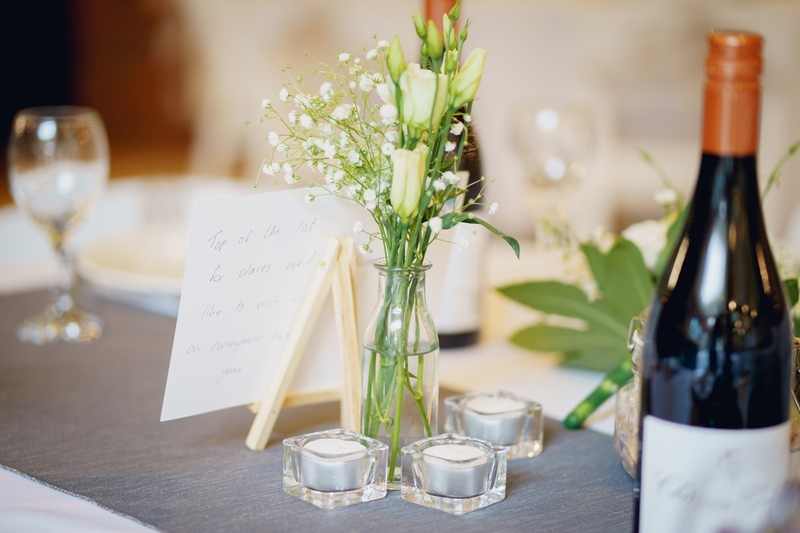 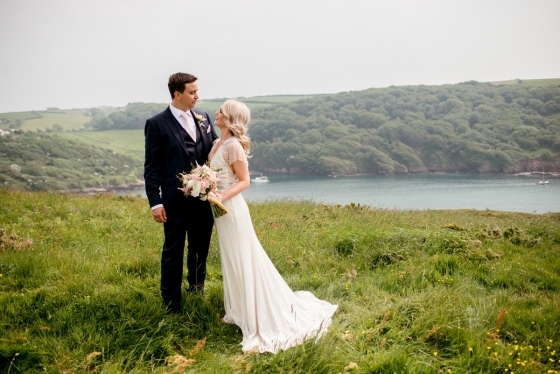 “We fell in love with the barn and vineyard as soon as we saw it,” says Laura, who opted for a natural colour scheme of green and white for the abundance of beautiful blooms throughout. 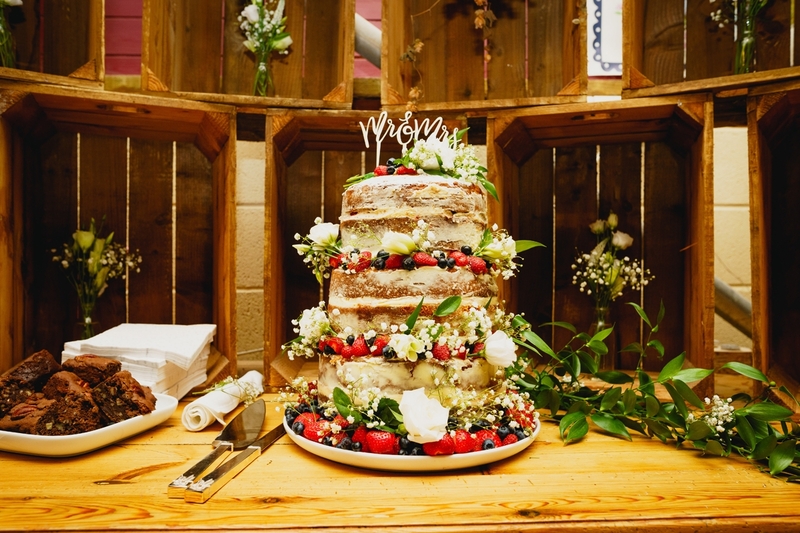 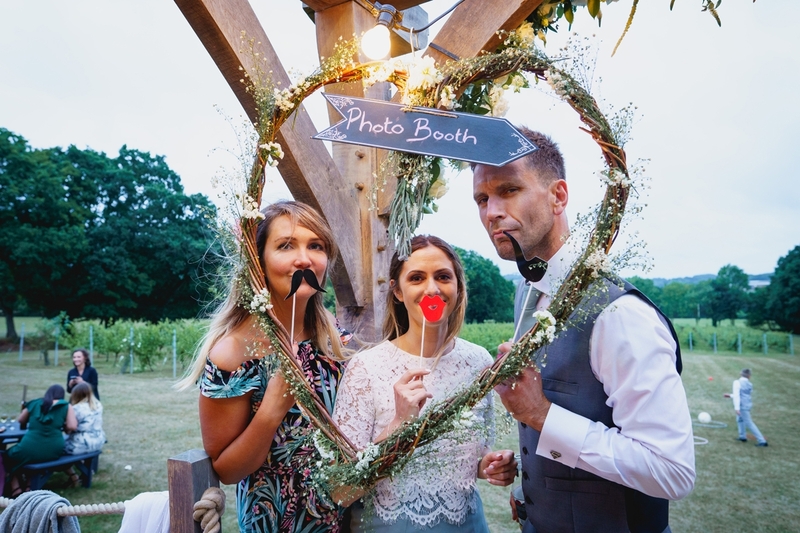 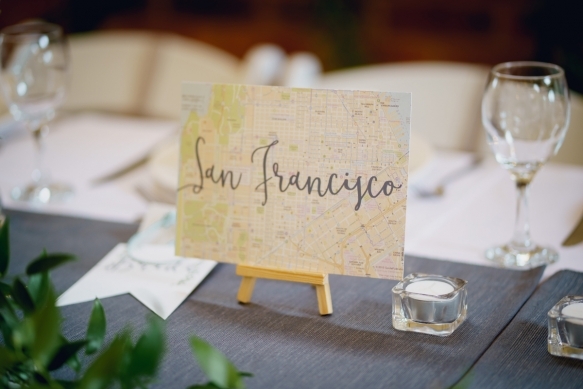 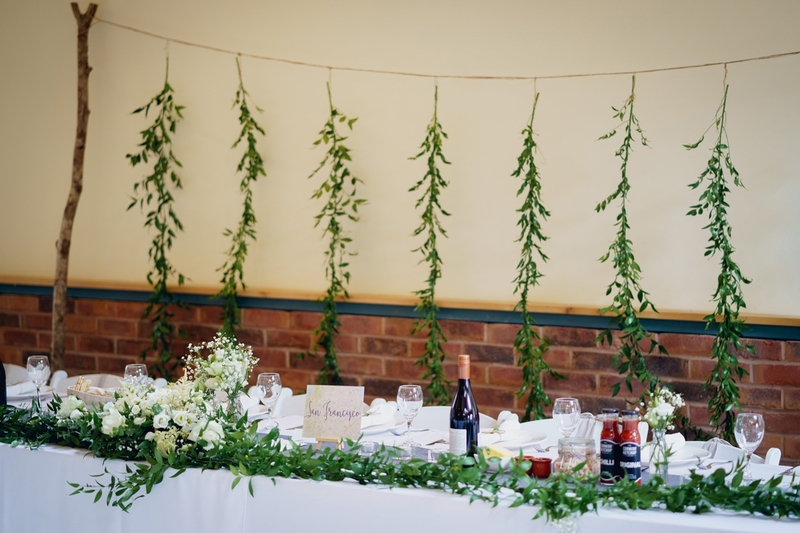 Subtle, pared-back décor created a stylish ambience and perfectly complemented the vineyard’s country aesthetic, with fairy lights and foliage extending the simple, yet striking palette. 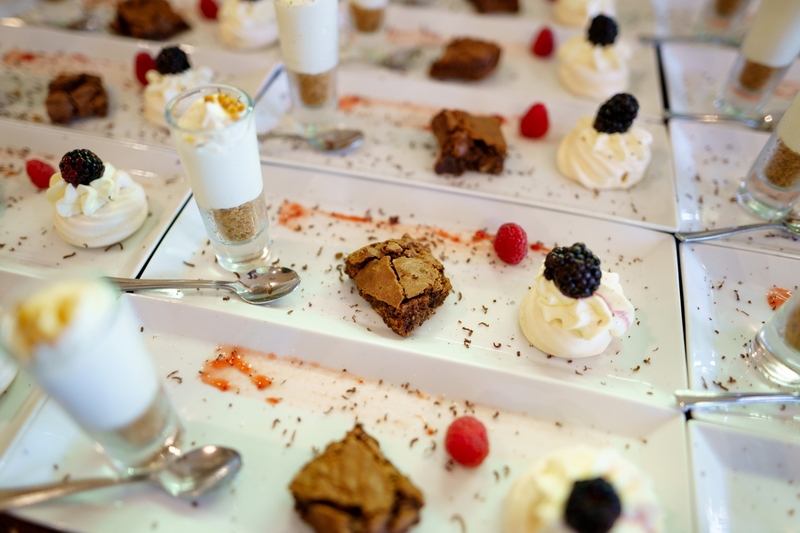 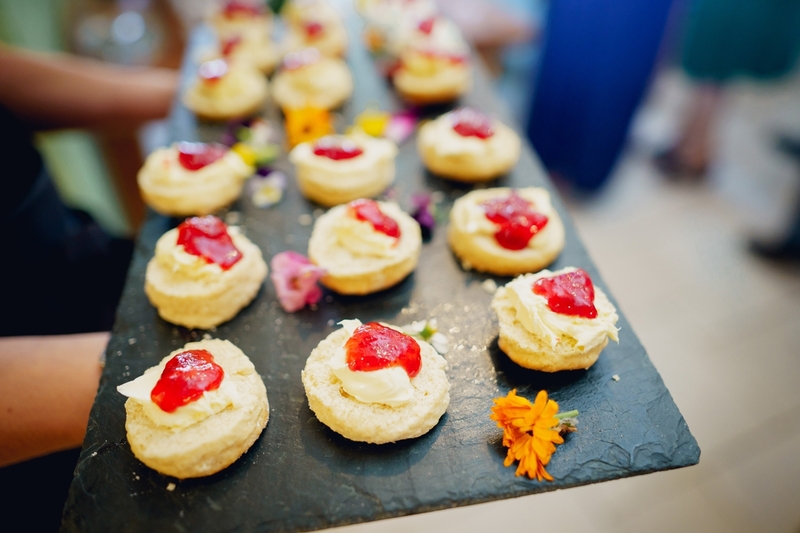 Cream tea canapés greeted guests who enjoyed outdoor games before sitting down for the wedding breakfast: a barbecue style feast with lots of colourful salads followed by a trio of chocolate desserts. 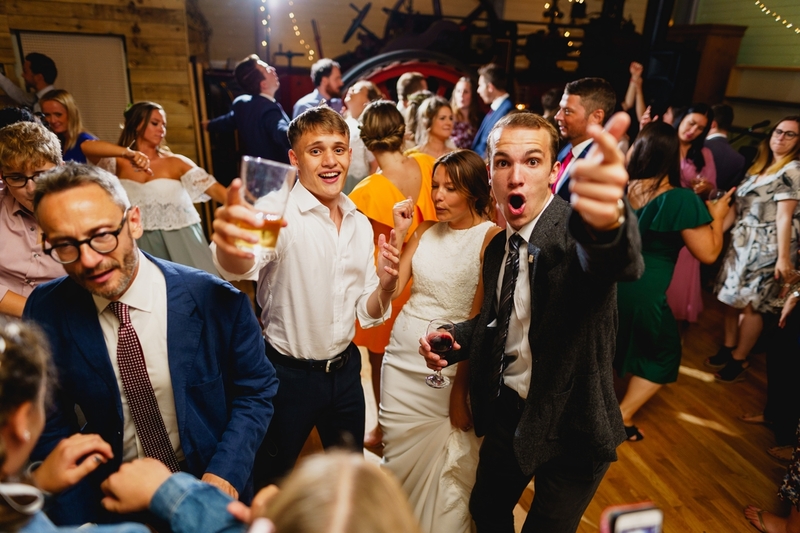 Live music courtesy of Gentlemen Groove kept the dance floor packed all evening, while a late night snack of Devon pasties and pies, along with a sweetie table, gave guests extra energy to party the night away.